Obituary for Maxine E. (Miller) Folk | Brooks Funeral Home and Cremation Services P.C. 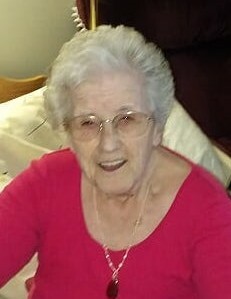 Maxine E. Folk, 91, a lifetime resident of Watsontown, passed away on Wednesday, March 20, 2019 at Evangelical Community Hospital, Lewisburg. Born February 14, 1928 in Watsontown, she was the daughter of the late Walter and Kathryn (McCollin) Miller. She was married to Otho L. “Okie” Folk until his passing on January 28, 1994. Maxine was a 1945 graduate of Watsontown High School. During her working years, she primarily worked for 30 years at Montgomery Mills, until its closing. She also worked for Grumman Allied, Anchor Darling Valve and at the Federal Prison in Lewisburg. Maxine also obtained her realtors license from Lycoming College and sold real estate for Century 21. She operated a ceramic shop in Watsontown during the 1980s. She was a life member of the Watsontown Legion Auxiliary and a life member of the Turbotville VFW Auxiliary. Maxine loved bowling in Montgomery. Maxine is survived by her three nieces. Preceding her in death besides her husband and parents were her two sisters, Roberta Arnold and Betty Nogle. Family and friends are invited to call from noon to 1:00 PM on Monday March 25, 2019 at Brooks Funeral Home & Cremation Svc PC, 124 Main Street, Watsontown, where a funeral service will be held at 1:00 PM with Pastor Doug Schader, officiating. Burial will follow in Watsontown Cemetery. In lieu of flowers, the family suggests contributions in her memory be made to either the Warrior Run Fire Company, PO Box 8, Watsontown, PA 17777 or the Muffly Huff VFW Auxiliary, P.O. Box 31, Turbotville PA 17772.